Yes, I am still alive. My internet, however, is not. 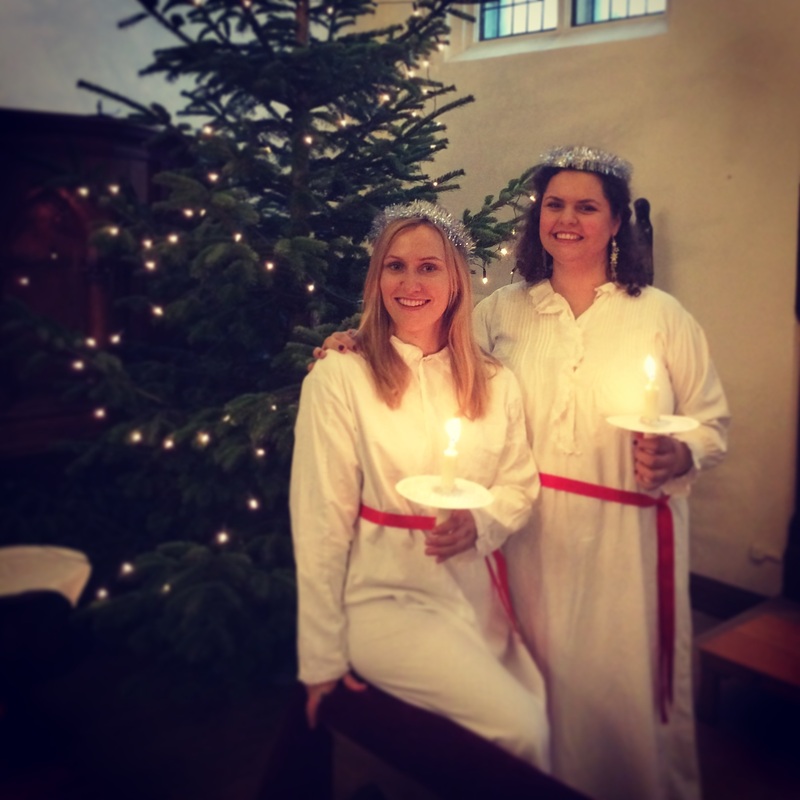 I would have loved to inform you about how our first Lucia concert went and how I stood at the Swedish Church’s Christmas Market for hours selling Nordic-Talker-devotional-objects to Germans. (What is the deal with the German obsession with elks? Because you can hardly call that love anymore, it is real obsession. They don’t want to buy reindeer ornaments; it must absolutely be an elk.) The masses of people coming towards me to my sales table were a never-ending flow. 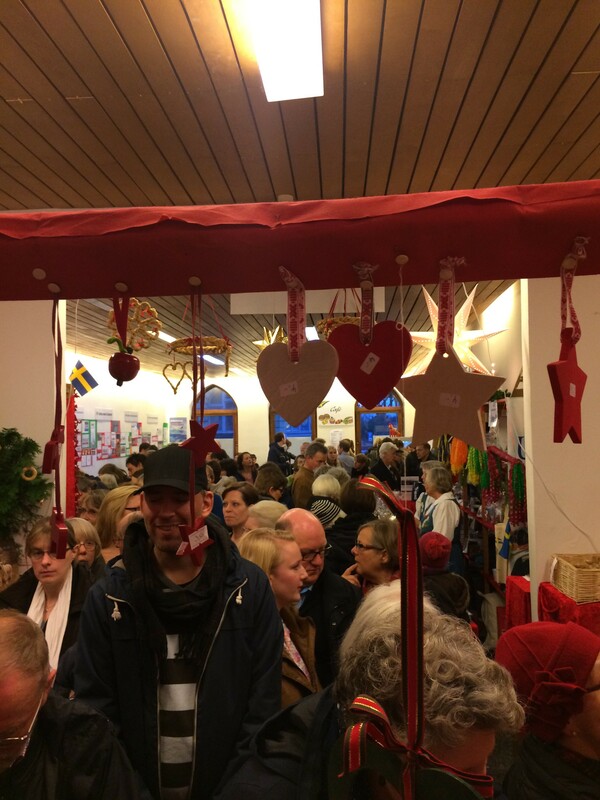 25 000 people come through our little church on the Christmas Market weekends. Twenty-five-thousand! 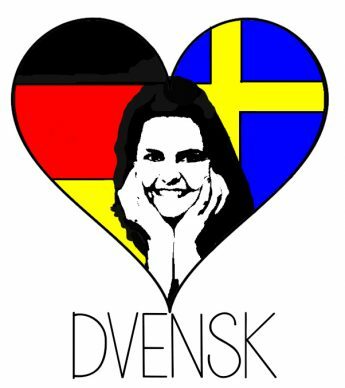 If my internet was working, maybe I would even have found the time to tell you about how I went to a non-Swedish-café! But alas, my internet ceased to function on Friday and my incompetent service provider Tele2 (never sign a contract with them regardless of how much you love Frank the sheep!) cannot tell me when it will work again. “Are we talking hours, days or weeks?” I inquired. “I cannot tell you”, the hotline guy replied. Seriously?! Now I am also drowning in work and have to go to the dentist so you will just have to, hmm, read Ingrid’s blog and watch my activities on television. The NDR, North Germany’s biggest broadcasting station, attended both of our concerts (!) and aired one report already, another one (where you should actually see me, too) is to follow on November 28th at 6.15 pm – mark your calendars! Hör tystnaden (Hear the silence) is one of my favorite Luciasongs. We don’t sing it, but I thought it was an appropriate title given the blog silence. 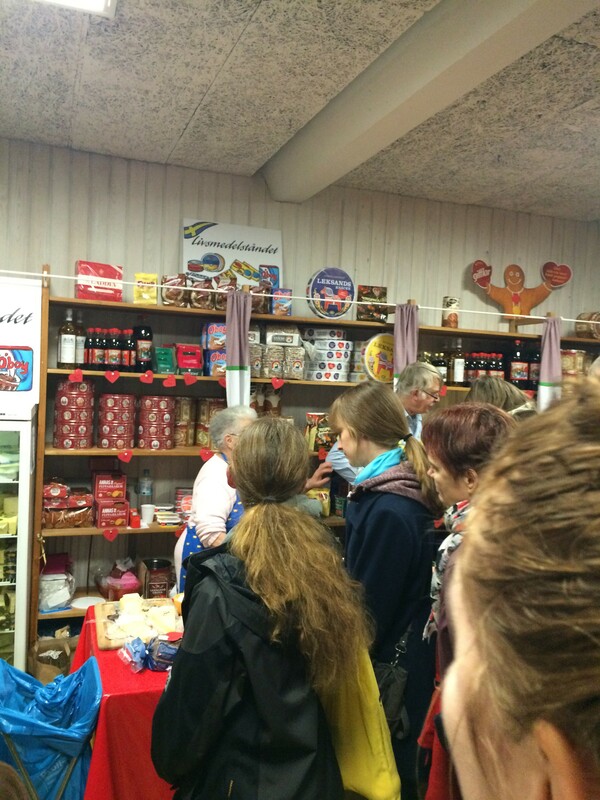 I have no remorse: I sell elks and Dala horses even to underage Germans. 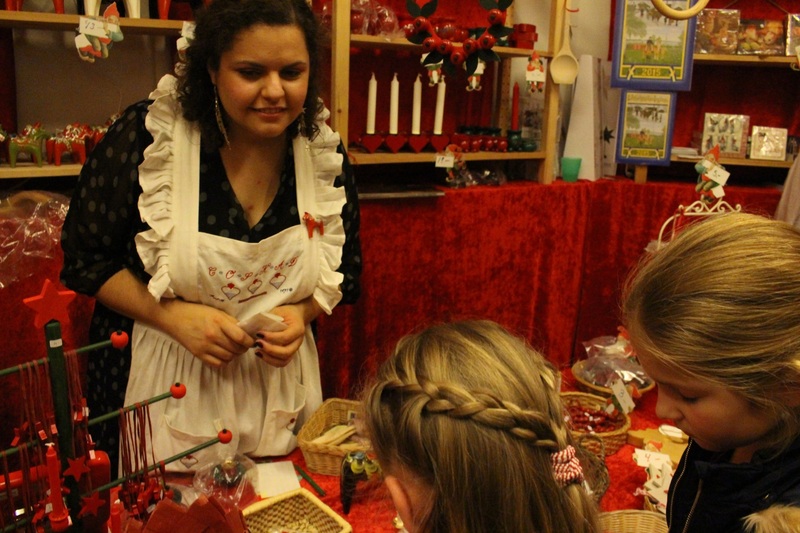 My apron and the Dala horse brooch that I got from Andrea give me Swedish authority.